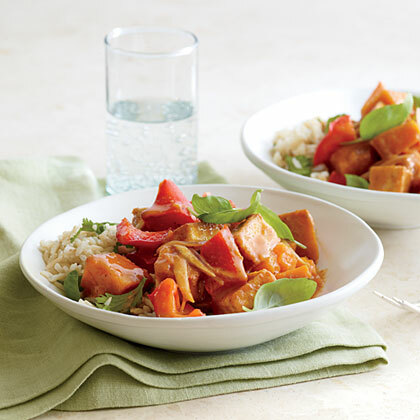 Search results for "winter squash"
Nutty whole grains make a perfect bed for a bowl of saucy winter veggies in this cozy one-dish meal of Winter Squash and Tofu Panang Curry. 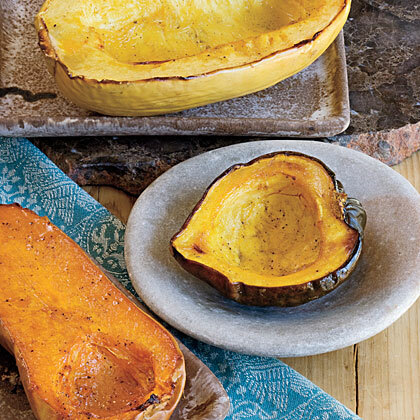 These are the four easy steps you need to roast winter squash featured in Southern Living's Home Cooking Basics. To cut winter squash, microwave at HIGH 1 minute. This will soften the squash so you can easily cut through the thick shell. 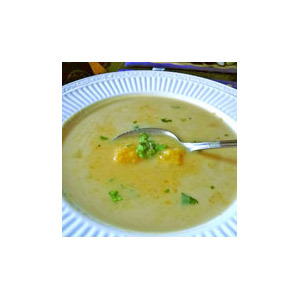 By Jill Nussinow, The Veggie Queen™This exotic soup is vegan, plus gluten- and dairy-free, but you don’t have to tell anyone! 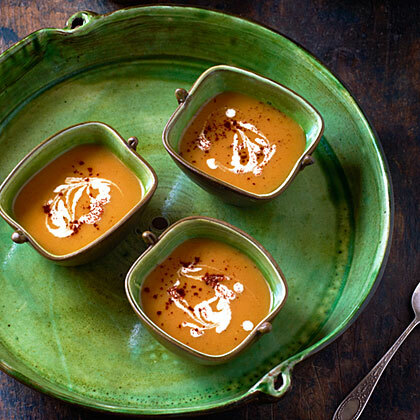 Winter squash is abundant when it’s cold out, and this soup elevates winter squash to a new level in an enticingly exotic way. The soup’s aroma will nicely scent your house, and eating it warms you up from the inside. 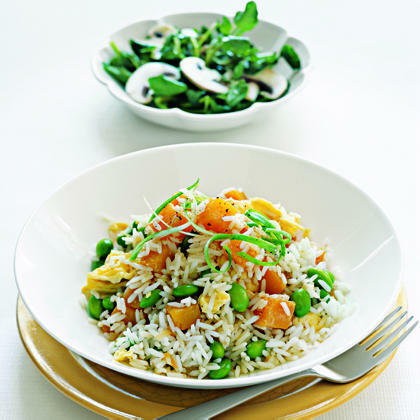 Use your favorite winter squash or try a new variety for this, they are all yummy. 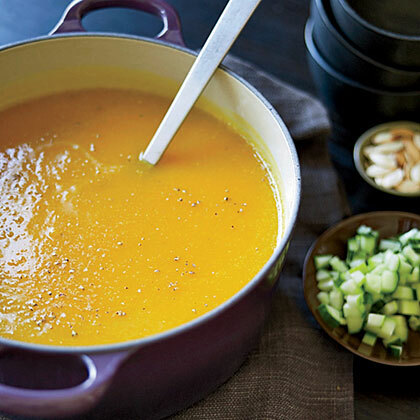 For this soup--adapted from her 2013 book Vegetable Literacy--author Deborah Madison makes a quick stock from the trimmings of the main ingredients: She sets a pot with 5 cups of water on the stove, and as she chops, she tosses in the squash peels, pulp, and seeds; the ends of the onion; some basil and mint sprigs; and 1 tsp. each of coriander seeds and peppercorns. She lets it simmer, partly covered, and it's ready by the time she needs to strain it for the soup. 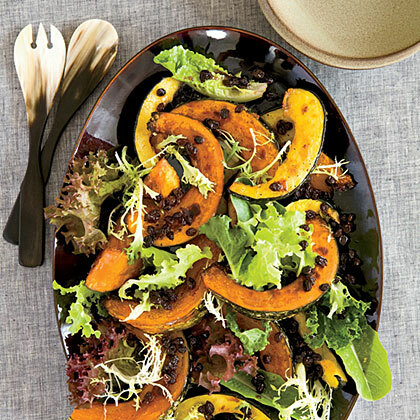 Any winter squash--including delicata, acorn, and kabocha--will work in this side dish. In this recipe, a touch of cumin lends depth to the spice mixture.